Studs for the wire wheel spare tire carriers used in 1926 and 1927, Used to mount the spare wire wheel to the carrier. 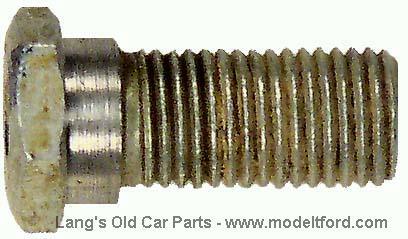 Cars with WIRE wheels use three of these studs. 1926-1927 Cars with WOOD wheels use two of these studs and one other stud, part# 2875 with regular demountable rim nuts, part# 2848.